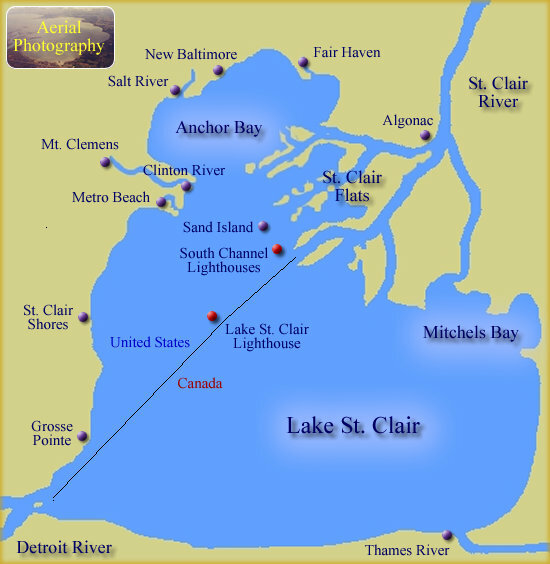 Since 2/3 of Lake St. Clair is Canadian, Canadian law requires a one-day (or seasonal) Canadian fishing license for each angler 18 years of age and older to fish in their waters. The cost of a one-day Canadian non-resident license is not included in the listed fees. Prices for Canadian licenses are set by Lakeside Fishing Shop and/or the Canadian government, not by Miller's Sportfishing, and the entire amount goes to them. The Canadian government does not refund license fees for any reason. If you would like to obtain your Canadian licenses from Lakeside Fishing Shop ($25 each), you may call them at 586-777-7003, or click HERE to apply online. Captain Don will pick them up for you from Lakeside and have them onboard the day of your trip. If you prefer to obtain your Canadian licenses online yourself from the Canadian Ministry ($25 each), you will need a credit or debit card and a printer. Click HERE to go to the Canadian Ministry of Natural Resources website. You MUST print these and BRING THEM WITH YOU on the date of your charter. You will NOT need to purchase an Ourdoors Card for a one-day Canadian fishing license. Absolutely no weapons, illegal drugs, or other contraband allowed on the boat! All anglers MUST have their Canadian licenses with them in order to fish in Canadian waters and a driver's license, as well as ONE of the following: passport or birth certificate. Note: The CMNR website is not affiliated in any way with Miller's Sportfishing, Inc. We are not responsible for content on their site, or any issues you may have on their site. Note: According to Canadian regulations, if anyone in your fishing party has any felonies on his/her record, that person cannot enter Canadian waters. If you wish to remain in Michigan waters for your fishing trip, please notify Captain Don.